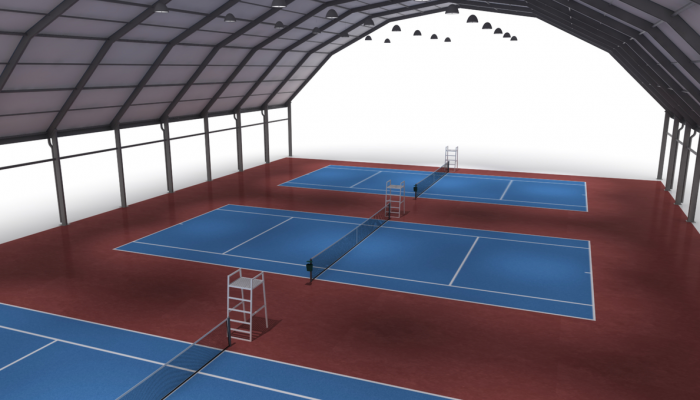 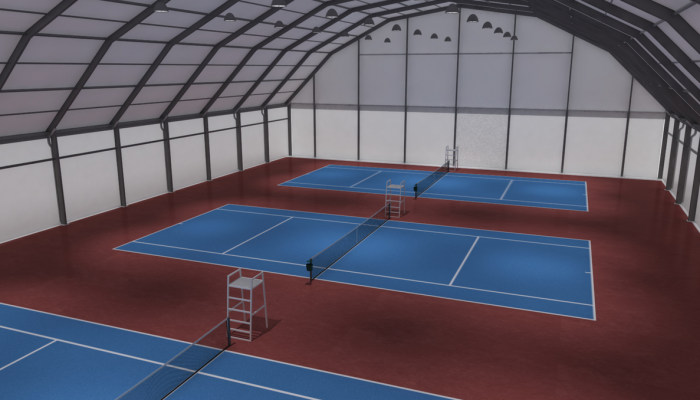 – Dimension of one court: 36 by 36m / with a side height of 5m and a total height of 15m. 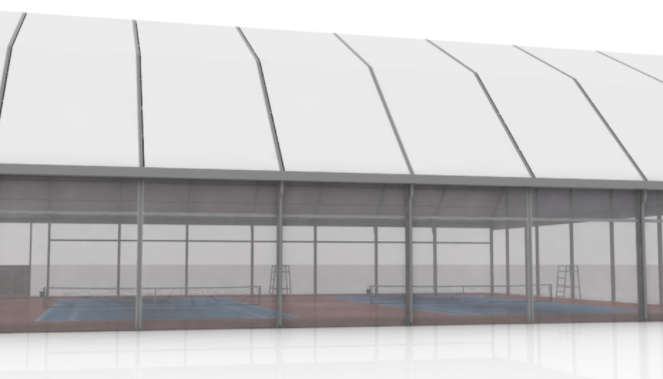 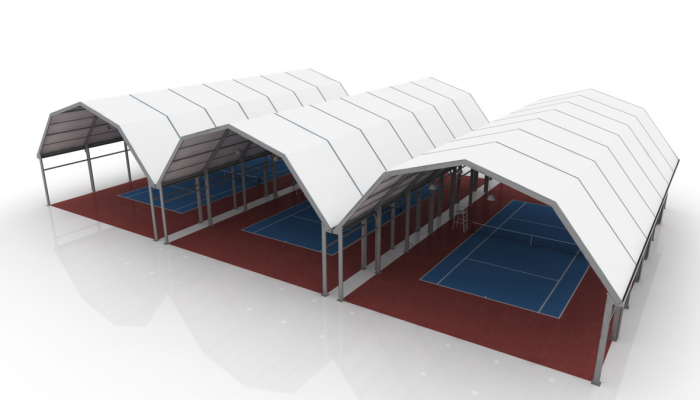 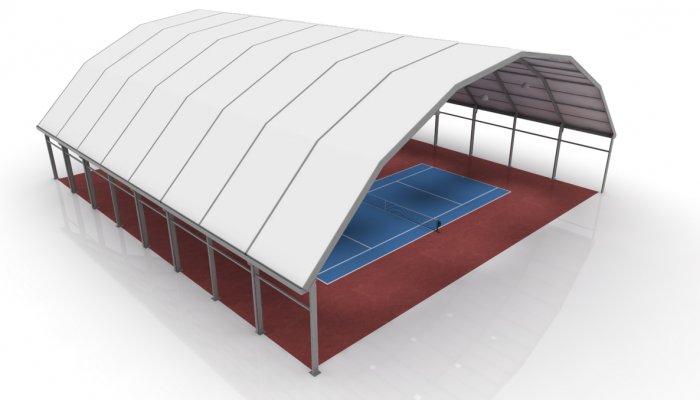 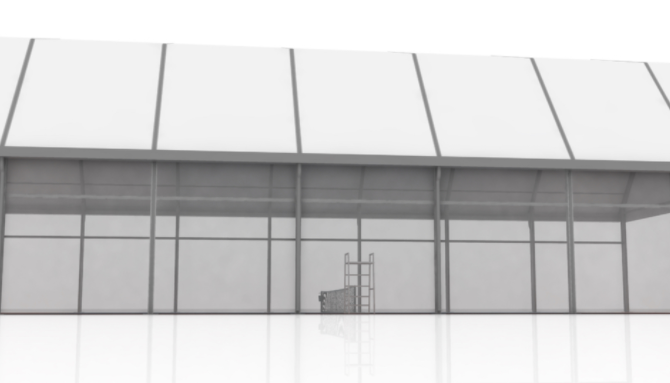 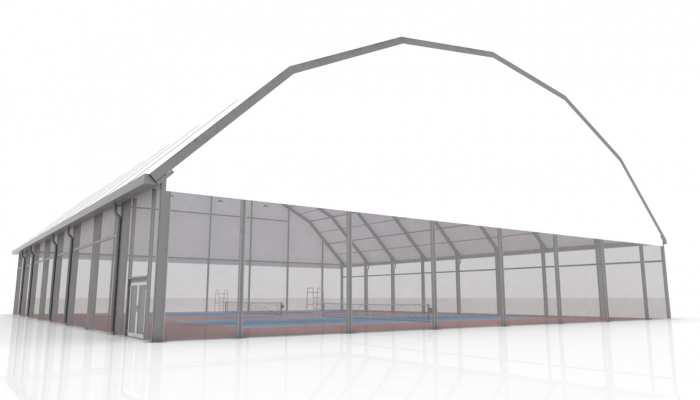 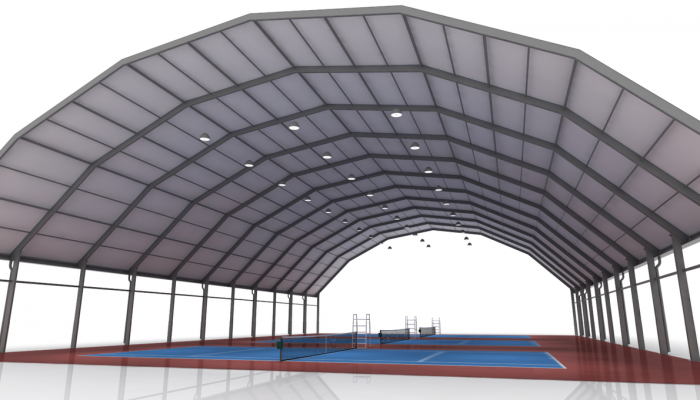 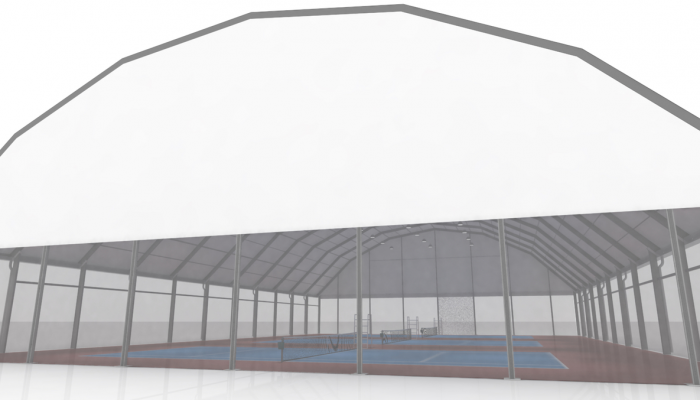 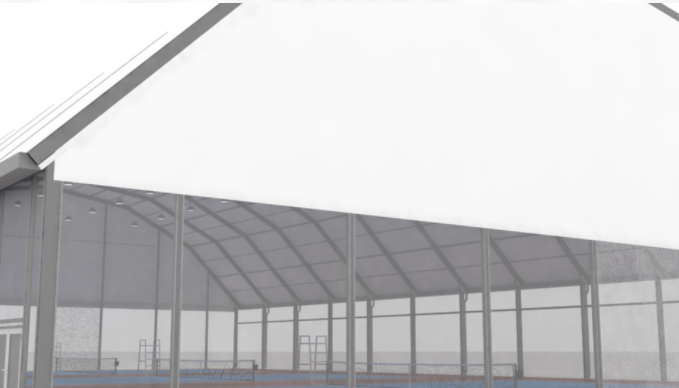 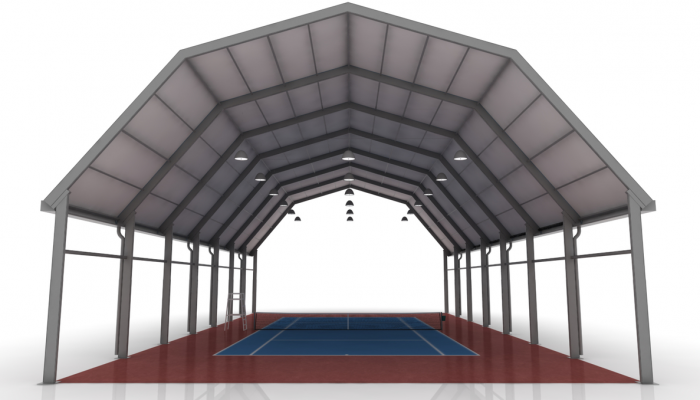 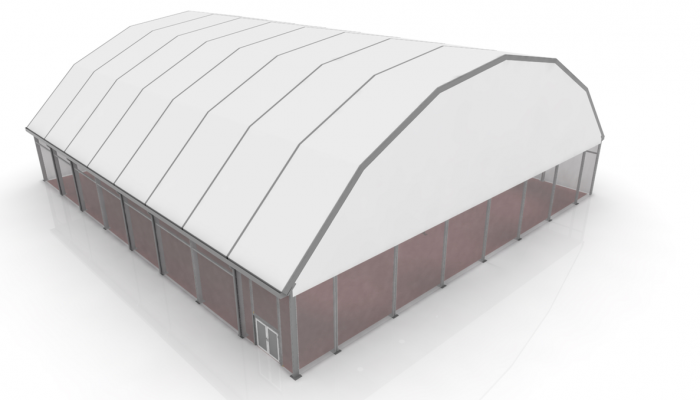 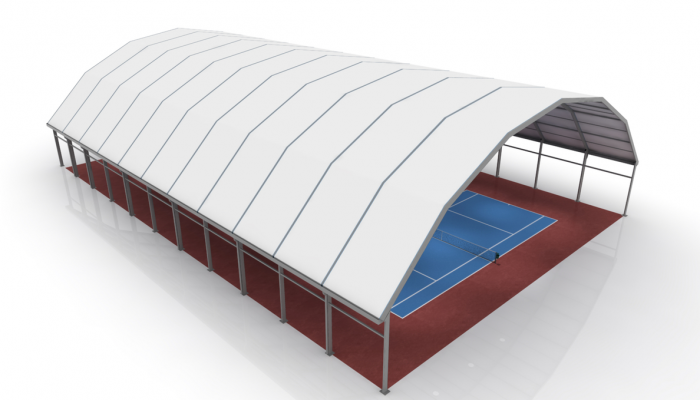 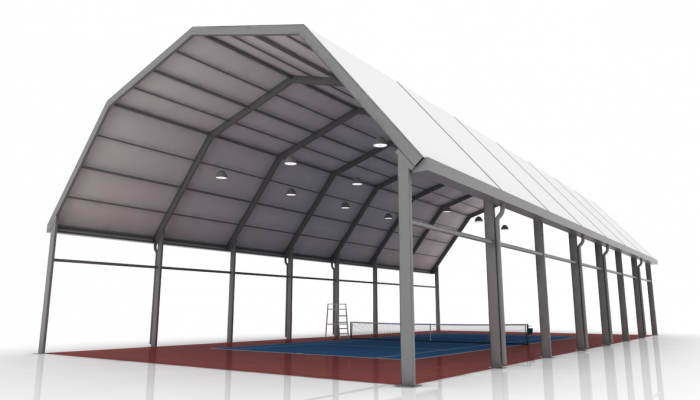 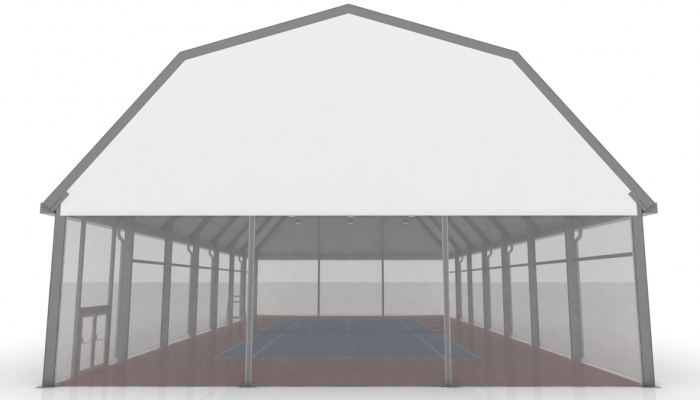 – Roof membrane and upper side membrane in white (translucent), all side membranes transparent. 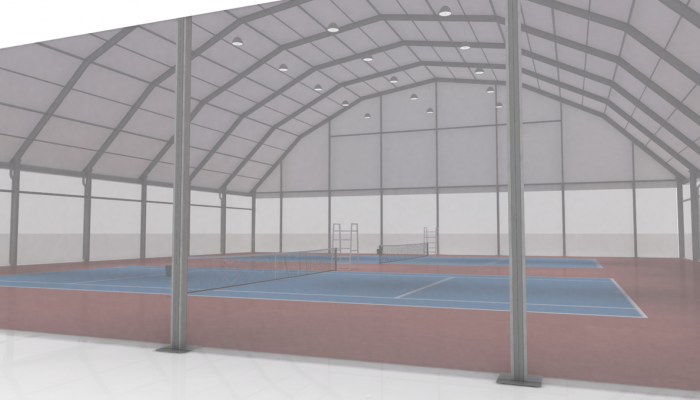 – Dimension of one court: 18 by 36m / with a side height of 5m and a total height of 12m.